A few months ago, people mourned the loss of the famous Maltese landmark; The Azure Window, after it collapsed one night because of a heavy storm. The devastating news hit headlines across the world in March. But the saying every cloud has a silver lining has never been more accurate, as divers are heading to Gozo, to scuba dive amongst the wreckage of the famous landmark. “The big white rocks with fresh cracks and brittle structure look really impressive,” Brendan O’Brien, told the Telegraph. He explored the site in June. “Without a marker, these rocks look like small pieces but they are really big. The whole structure is quite complicated with the canyons and narrow passages." The Azure Window became a highly popular site to visit over the years. It’s mythical and otherworldly appearance made it an attractive backdrop for the popular fantasy series Game of Thrones, as well as the fantasy adventure Clash of Titans. Tour buses and sightseers considered it a must see for anyone taking a trip to Malta. 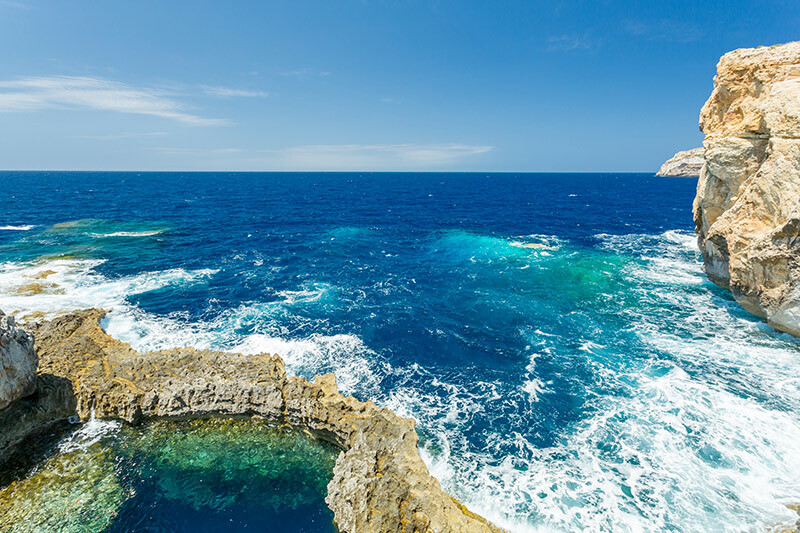 Many thought after its collapse Malta would face a drop in tourism, but the excellent diving opportunities have meant tourism is still booming in Gozo and sightseeing buses still stop at the place where the Azure Window stood. Although the prospect of seeing the towering limestone rocks scattered across the ocean floor may seem appealing, do be careful with how you choose to see them. A spokesperson for the Maltese tourist board released a statement saying divers should only explore the site with a registered diving company. But if you are planning to take the plunge, you may want to do it sooner, rather than later.